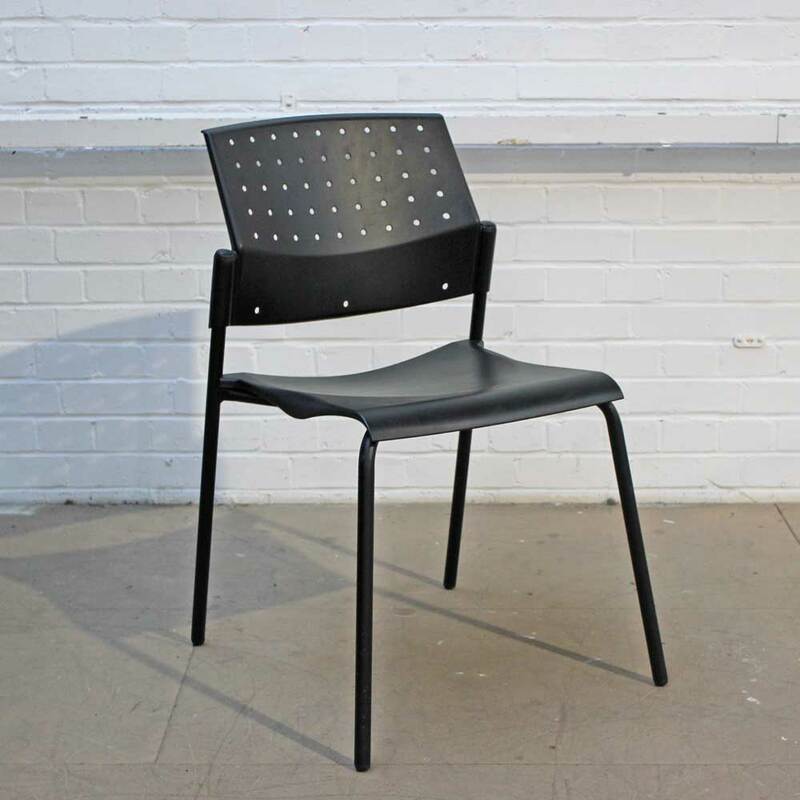 With black metal frame work this stacking chair features a plastic moulded seat and black plastic perforated back. Their ability stack allows them to be safely and easily stored away when not in use. 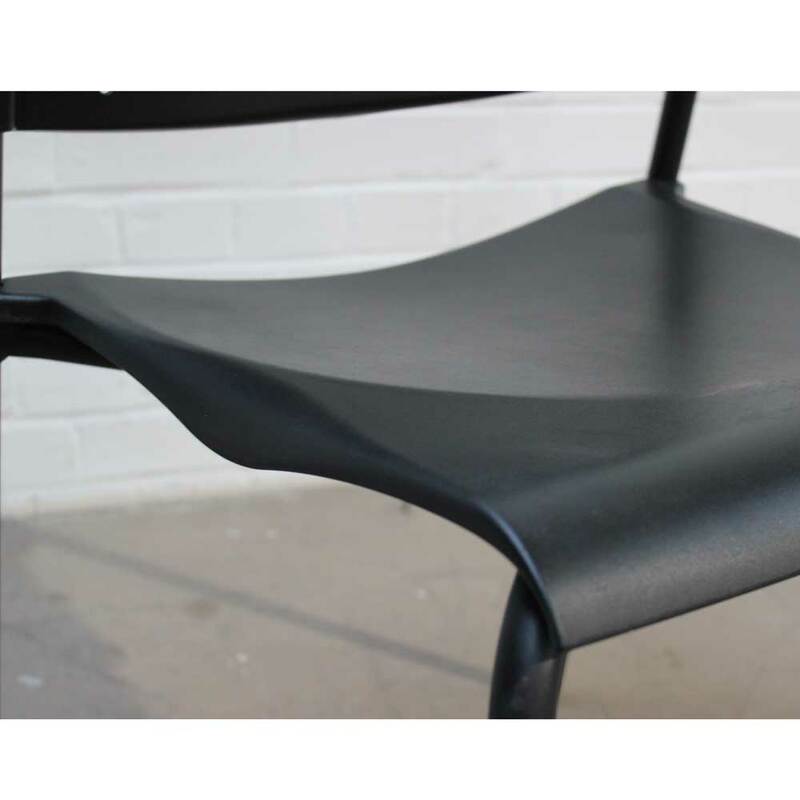 Ideal for a range environments including meeting rooms, cafes or bistros, employee communal areas, reception or waiting areas or at home. 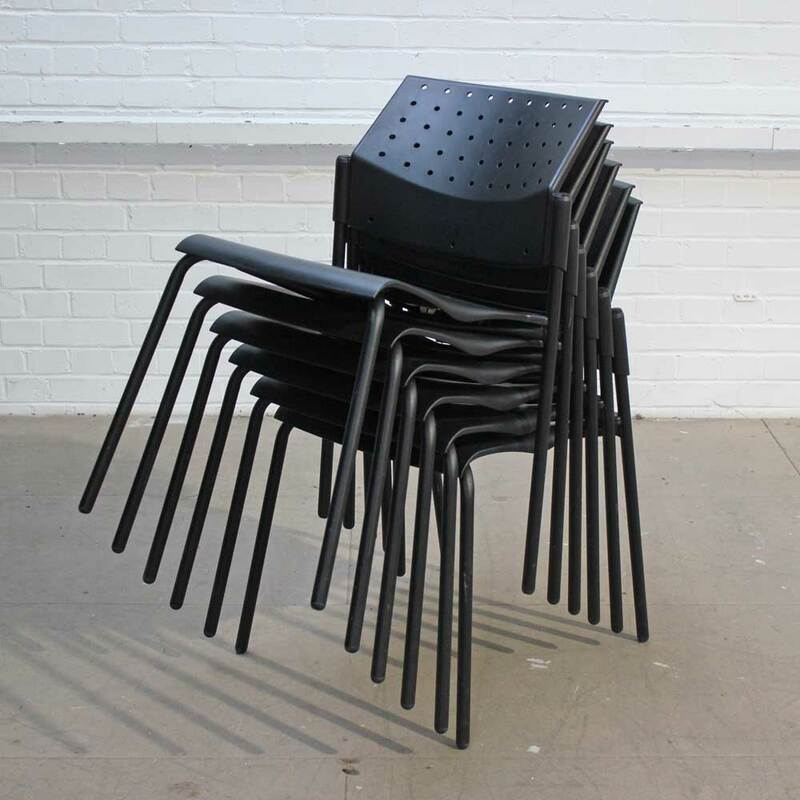 If you're looking for quality used meeting chairs like this mesh conference chair then Barkham Office Furniture is the place to visit. 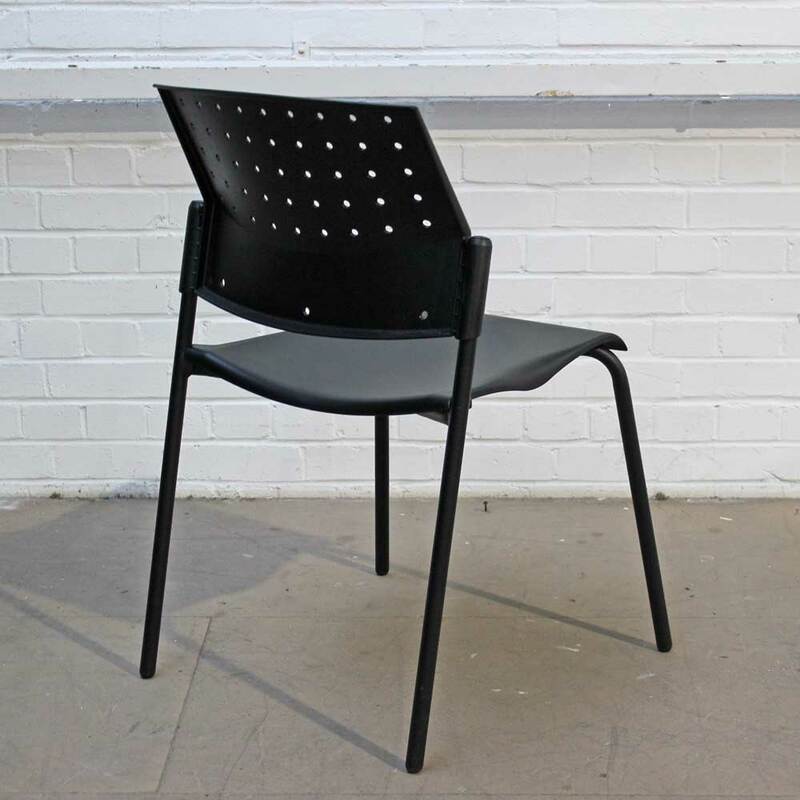 For more information on the blue meeting chair please don't hesitate to get in touch.